It was only a matter of time before the usual suspects in covering the gubernatorial race for Maryland’s largest mainstream media outlets began putting their thumb on the scale for Lt. Governor Anthony Brown. Case in point: John “Watchdog”Wagner—an accomplice in the O’Malley administration’s abuse of the Public Information Act—trolled the Maryland Shooters message boards for a hit piece regarding the Maryland Firearms Safety Act A hit piece the Brown campaign has been deceitfully exploiting. What’s interesting, is that in Wagner’s journalistic judgment, the message board postings of the Maryland Shooters weighed more than what former Delegate Mike Smigiel told him. Mr. Hogan’s chief of staff, Mr. Crim asked me if I would meet with him and Mr. Hogan to explain some of the intricacies of SB-281. I agreed and did. At no time was Mr. Hogan asked for any favors for the 2A community nor were we promised any thing. Smigiel also told me that Baltimore Sun reporter Michael Dresser contacted him with similar questions. Smigiel said he told both reporters that questions about the Firearms Safety Act were a red herring to distract voters from economic issues. “People are worried about the loss of businesses and jobs and the high taxes and fees that are making Maryland too expensive to live in.” Smigiel said. Wagner also asked Smigiel what gun rights advocates would like to see from Hogan if he were elected. 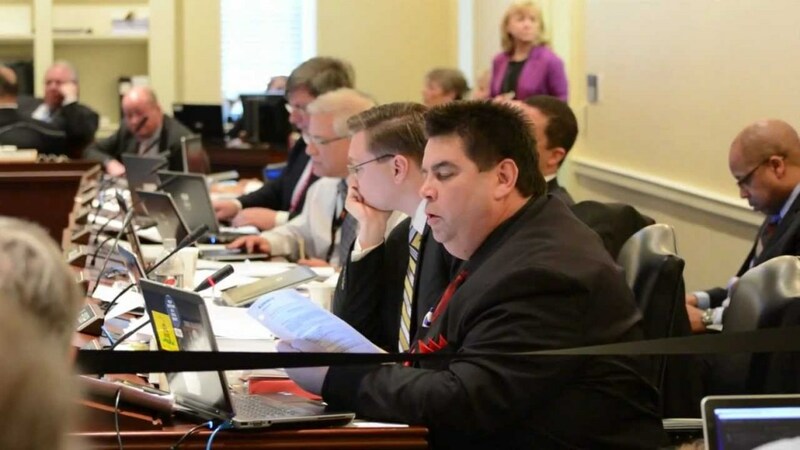 Smigiel said he would like to see Hogan put a stop to the O’Malley administration’s illegal search and seizure of guns from law-abiding citizens just to pump up StateStat statistics. “Neither the Sun nor Post used my comments or mention that I specifically deny there was any deal with the 2A community and Hogan.” Smigiel said. McCauley, former head of Maryland State Police Licensing Division, and officer in charge of the Firearms Enforcement Section within the state police’s Criminal Investigation Division. In a signed affidavit in Kolbe v. O’Malley, McCauley revealed that at a March 28, 2013 hearing of a subcommittee of the House Judiciary Committee, the O’Malley administration ordered him to NOT to answer Smigiel’s question regarding the efficacy of certain provisions (ban on certain firearms and magazines) of SB 281. Had he been able to answer, McCauley said he would have told the committee that SB 281 would have no effect on crime in Maryland, that banned weapons were almost never used in crimes in the state, it would have no impact on mass shootings, and that those wishing to acquire a magazine with a capacity greater than ten rounds would purchase one out-of-state, rendering the ban ineffective, except to restrict the choices of firearms and magazines by law-abiding citizens. McCauley confirmed to me that no one from Washington Post or the Baltimore Sun has contacted him about his testimony. One would think that a Maryland State Police Firearms expert—testifying under oath—that the O’Malley-Brown administration prevented him providing testimony that would have undermined the entire rationale for its signature gun law would be a story for the two largest newspapers covering state government. One would think that the Washington Post’s lead state political reporter would be interested in covering the legislative legerdemain pulled on Good Friday to kill a duly passed amendment from SB 281—the only one that would have actually punished violent criminals. Or the Democratic majority that voted down amendments to take away good time credits for those who commit violent crimes with guns, and add funding for mental health initiatives to SB 281. One would think that the Washington Post would show more intellectual curiosity why Maryland would need a sweeping new gun law when it was already in the midst of a 33 percent drop in gun deaths over the prior eight years according to data from the FBI’s annual Crime in the United States reports. One would think… but this is an election year.